Since before the time of Confederation, First Nations have struggled to find their place in British Columbia and in Canada. The journey has been difficult enough for many of our leaders to throw up their hands and focus ever inward. All too often, this is to the detriment of true and reciprocal reconciliation between the peoples and communities in Canada. Fortunately for all of us, this is beginning to change in real and unexpected ways. The struggle for recognition and respect has been so central an aspect of First Nations’ common identity that it has come to affect how we measure every decision we make. When it comes to matters that impact a wide array of disparate interests that intersect Canadian society, the internal politics of indigenous communities can often bewilder and frustrate. This is as much a challenge for indigenous leaders as it is everyone else, and it is one that must be addressed by the former as much as, if not more than, the latter. This is the challenge facing leaders in true, mutual, and trust-building reconciliation. 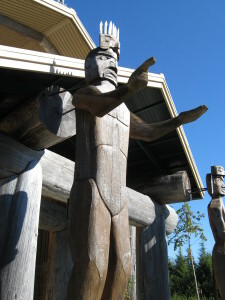 The key to successful reconciliation is not only the willingness of Crown governments to publicly acknowledge our deeply troubled past, and to work in good faith with indigenous communities to meaningfully address the challenges of moving forward, but also for those same indigenous communities to publicly acknowledge that collaboration and to signal a willingness and impetus to forgive. To some degree, this is already happening. First Nations communities everywhere are not only increasing their reach and their grasp, but also awakening to the universal challenges of peace, order and good governance. As indigenous communities increase their legal, political and economic capacities, they are coming upon the hard decisions to be made in a world of scarcity. In the face of those decisions, First Nations leaders and their constituents are learning that they have much in common with the rest of the Canadian polity: a robust and vigorous difference of opinion. It is in that difference of opinion where we discover both the great strength and the troubling difficulty facing indigenous leaders today. The often-combative politics of identity have penetrated so deep into the political culture of indigenous communities that certain opinions are being regarded not as mere difference of opinion but rather as traitorous to the indigenous identity. As indigenous communities develop politically and economically, the politics of identity should rightly diminish in the hearts and minds of indigenous peoples. It comes now to whether and to what degree aboriginal communities and their leaders embrace this new vigorous democratic diversity, or quash it in a fearful defense of what is known and what is comfortable. Success at all levels of government increasingly depends on well-functioning communication, coordination and cooperation at all levels on a global stage. In a world where a drop in the demand for timber in the markets of Shanghai can have real consequences for the culture and language budget of an indigenous community in BC, true and reciprocal reconciliation is ever more important for all Canadians everywhere. We are up to the task, so let’s get to the important and uncomfortable work of respectful political discourse. Offering Advice, Consulting & Speaking Services! John Alan Jack, April 2016. Discounts for non-governmental, faith-based, and non-profit organizations. All services offered on a written contract basis with electronic correspondence preferred. Travel within the Mid-Island Area is inclusive of the standard rates. Mid-Island Area: Nanaimo to Courtenay-Comox, Oceanside to Alberni Valley. Please contact me at <john.jack at gmail .com> for more details. Note – Rates changed as of May, 2018. At around 3:30 or 4:00am on Sunday, I found out that I was fortunate enough to be re-elected to Huu-ay-aht First Nations Council. In the past few days, I have reflected on what has come before and the dreams I have for the future. This election was conducted very professionally on all accounts. The Election Commissioner’s work, however, is not yet done. While there was a clear winner for the Chief-Councillor — congratulations Robert Dennis Sr. — and for the first three of five Council positions, there was a three-way tie for the last two seats. Truly, every vote counts! There will be a run-off election on July 18th (warning PDF link) between the three who tied for the last two seats. Regardless, I look forward very much to working with the new Council, and I look back and very much appreciate the work done by the one before. It has been an honour and a privilege to serve my community, and re-election makes me pause and consider the good-fortune and appreciation I have for being able to serve once more. I thank everyone who had the courage and fortitude to run for office, and I thank those who took the time out of their day to vote. If ever there was an example of every vote counting, we now see the reason. This is the last piece outlining my platform for re-election to Huu-ay-aht First Nations Council. In this piece, I’ll outline my thoughts on and approach to the exploration of an LNG facility on Sarita Bay in partnership with Steelhead LNG, but also how I think Huu-ay-aht would best access economic opportunities by focusing on developing positive relationships and cultivating a good reputation in the wider world. Thanks for reading! 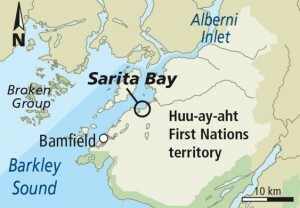 In mid-2014, Huu-ay-aht entered into an agreement with a BC company, Steelhead LNG, to explore the idea of a liquefied natural gas (LNG) facility in the southern area of Sarita Bay. The reason Huu-ay-aht even considered the idea was for the reason that Steelhead took the right approach. Before they did any field work, before they started working in earnest with the province, Steelhead sat down with our government and asked us if we wanted to be involved. I cannot stress enough how different this practice has been in comparison to other LNG, and even other resource projects, in other parts of British Columbia. Not only that, this company did so before the Williams Decision, otherwise known as the Tsilhqot’in Case, which stated that companies who wish to develop major resource projects must seek out and consult with First Nations before they begin work. So, despite any misgivings people might have about the LNG industry in general, I can say that Steelhead LNG has done well in approaching Huu-ay-aht at the front end of the project. It is for this reason, that I supported the prospect – supported exploring the opportunity. Since then, we have done much to ensure that our government, our administration, our hereditary leaders and our people have an up-front understanding the nature of the natural gas industry, how LNG differs from other energy sources, and how we might move ahead on the project. It all culminated in a moderately positive vote at our November 2014 People’s Assembly to continue exploring the project in the next stage where more detailed feasibility studies would be done. These studies would look at all manner of topics in relation to the project: economic and employment, health and safety, cultural and archaeological, as well as access to traditional resources and all manner of environmental impacts – fish, wildlife, migratory birds, rivers & streams, air quality, greenhouse gas, oceans, seismic and more. I supported the notion of moving into the second phase of detailed studies, because I felt as though we needed to know more before we could earnestly support or oppose this major project. I believe that this project, as with any major economic development project, will have a deep and long-lasting impact on our lands and people. Whether it is ultimately a negative or a positive impact will depend on a lot of things, many of which we do not yet know. We may believe, but we do not yet know; and good decisions are not made on feelings alone, they are made on careful consideration of all available information, knowledge and wisdom. Until those studies are complete, I do not believe any government can rightly approve or deny this project. I am cautiously optimistic, and given my education background in economic development that should be expected, but I am also all too aware of the potential for this project to adversely affect many envi-ronmental and cultural aspects of life in our territory. I will be one of the first to admit that we do not (yet) know enough to make a decision, but I believe that we can impress everyone in how we go about ensuring we make an informed one. We all rely on free trade to create value in the global economy. This actually makes a lot of sense from the perspective of hish-uk (ma) tsawak, or the idea that everything is one. From my understanding, hish-uk tsawak is the notion that all things are interconnected, interdependent and have reciprocal relationships. This works in the natural world, and this works in the human world, too – in this instance, the world of economics. Global trade today means we are generally free to interact and trade with any other people or company in the world. What we need to understand is that all countries are interdependent with one-another, and that’s the way it’s always been. In a world of free trade, it has become quite clear that no Nation can truly stand alone; not Canada, not the United States, not even China. We all have things to trade, things that we have and things that we want. It’s up to us to understand what we have to offer and how we can connect to the global economy and benefit. How we conduct ourselves as a government, as a people, as a Nation, during the investigation of this potential project that will matter very much for our future economic opportunities. This is a global in-dustry, one that BC and Canada is trying very hard to break into successfully. In real terms, the world is watching us. We have done the right thing in exploring this project in a deliberate and rational manner. How we have conducted ourselves so far has opened doors for us in places we might not have imagined in years prior. Huu-ay-aht has been successful in winning its independence in a political sense, all we need to do now is show the world, and the business people who make investments, that we have the maturity to honestly and calmly explore any economic opportunity without resorting to petty politics or divisive rhetoric. Regardless of whether we choose to move ahead with LNG, I think it’s upon us to show the world that we have chosen to be a part of the world, we have chosen to build and create and to do it the hard way, the old-fashioned way, the only way it has ever really been done right. We have the wisdom of ages gone past, the knowledge of the land and our resources, and we have the promise we have made to our children. We are up to the task, we have the passion and the will to once again take our place in the world. We just need to remind the world who we are and what we’re capable of doing. I hope to be a part of that. Chuu. Posted in: Information, Opinion, Politics. I thought I would take the time to give out a bit more information regarding certain parts of my platform. In this document, I’ll talk about my experience and accomplishments in both relationship-building and in economic development. The reason I’m writing about these items is that I was assigned to work on them as a part of my portfolio. Every Councillor, when they are elected, is generally assigned various duties and they usually lead the discussions on those topics with the rest of their colleagues on Huu-ay-aht First Nations Council. In this letter, I’ll speak to the work being done in these areas, the things we’ve achieved and why I think they’re important. I’ll also write about what I think we need to do in the future to be successful in those areas. 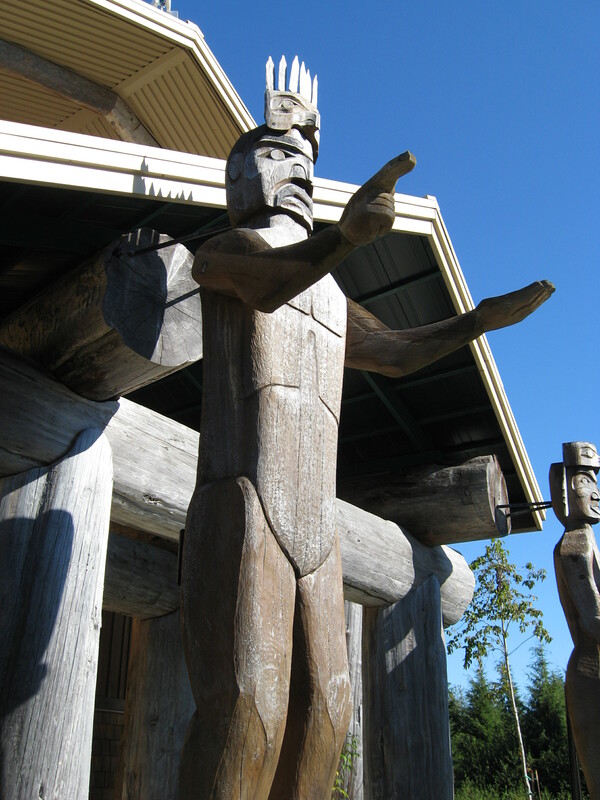 The Huu-ay-aht First Nations owns and operates several businesses: an active forestry company, various commercial fishing licences, a gravel operation, the Pachena Bay Campground and the Restaurant & Store in Bamfield. In this past term of office, we have consolidates them all under an arms-length business wing called the Huu-ay-aht Group of Businesses, and have used corporations and limited partnerships to ensure that our investments are protected from any liabilities. Our business wing is operated at “arms-length” from our government because there often arises a conflict between political interests and business interests. In order to have the best opportunity for a well-run set of businesses, we have a structure that separates business decision-making from much political interference. Council retains overall strategic direction of our businesses, and chooses whether to invest in them or a new business as a part of that, but day-to-day and quarter-to-quarter decisions are made by dedicated business managers and a business-minded board of directors. When I was re-elected in 2011, our main business of forestry was suffering significant losses. Due in most part to the financial crisis of 2008 in the United States, we were losing upwards of $1.2 million. In the four years I have worked with our business team and have focused on turning this around. I am proud to say that our forestry business has made a significant profit in the past two years with has seen a net payout in the form of stumpage taxes and profit-sharing to the Nation of approximately $1.2 million with more to come. Forestry has been our main driver for revenue, profit and employment opportunities, but we have done more to diversify our options as well. Our economic development strategic plan has us actively pursuing service, hospitality and tourism opportunities. For instance, we have expanded and enhanced our campground at beautiful Pachena Bay. We have also acquired the Market and Store at the heart of our neighbouring village, Bamfield. From that central location, we have expanded our interests into operating the government wharf in East Bamfield and are actively looking to acquire more property and businesses in Bamfield. Also, I have just received word that our sustainable, run-of-the-river power project just received a water licence which is the vital step before we can begin to build and generate sustainable energy which we can sell for good revenue to BC Hydro. It is only by building and creating profitable businesses that we can create long-term, sustainable job opportunities for our people. In business, we have to ensure that we are creating value for our main investors – the Huu-ay-aht First Nations itself. We can do this by making our businesses profitable, and ensure that they are expanding in smart and forward-thinking ways to create reliable job opportunities for our people. It is for this reason that I think it will become very important to continue to actively invest money in our business wing in order to create that income and create those job opportunities. If re-elected, I would work with the team to ensure that we continue to diversify our economy so as to not overly depend on forestry for revenue and jobs. I have also been appointed to be Huu-ay-aht representative to the Alberni-Clayoquot Regional District (ACRD). Alongside the Yuułuʔiłʔatḥ First Nation and the Tsawassen First Nation, we are one of the first in the province to have the distinction of being full, voting members of a regional district. Since April 2012, I have represented our interests to the ACRD as well as the larger associations and organizations to which the ACRD belongs. At the Association of Vancouver Island and Coastal Communities (AVICC), I gave a presentation about our Nation and our experiences to the entire group to great effect and it was well-received. At the next meeting of the AVICC, the group voted to change their constitution to grant full membership to any First Nation eligible to become a member of a regional district. Not only was I an official delegate of the ACRD there, I was also officially a delegate of my own Nation! At the Union of BC Municipalities (UBCM), the ACRD was central to having the entire group declare that 2013 to be their Year of Reconciliation. I have also given many presentations to local government associations regarding the nature of First Nations and our story in working successfully with the ACRD. 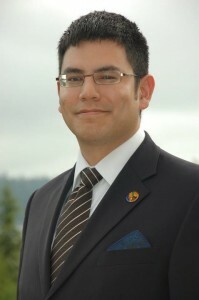 If re-elected, I would like to continue to be the Huu-ay-aht’s representative to the ACRD where I can continue to put forward our interests, create opportunities for sharing and cooperation as well as make connections with a part of the province that we did not before have many opportunities with which to interact. Part of a successful Nation in Treaty is to leverage our newfound connections to create opportunities for partnerships and collaboration which we can turn into concrete economic and political benefit for our people. I hope to do that again. My name is John Alan Jack. I thought I’d take the time to put together a quick primer on my platform for re-election. These are only short-form, and if you want more information regarding my positions and ideas, please check out my website at <www.johnalanjack.ca> for more information as it is released. Thank you! I am thirty-three years old. My parents are David McIvor and the late Sandra Gallagher (Jack). My mother was the youngest daughter of Ernest Jack and the late Shirley Jack (Chester). I have two brothers. I’ve been married for over a year to the love of my life, Crystal, and we’re expecting our first child in early October 2015. I have a Bachelor’s Degree with Distinction in Global Studies from what is now Vancouver Island University. 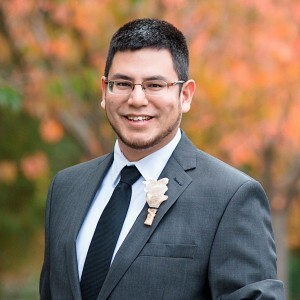 I have been a Member of Council for six years, and have just under a decade of experience with the Huu-ay-aht First Nations in staff and government positions. I believe that the job of a Member of Council is to represent the interests of the whole community as she or he best understands it. Councillors must ensure that the decisions they make are the best quali-ty given available information and a thorough discussion. It is the job of Council to have respectful dis-course involving constructive conflict in order to ensure that harmony outside the Council table is maintained. If disagreements are not expressed at the table, then there is likelihood that the conflict will spill out laterally to great disservice to our Nation. We have to do our jobs right to avoid this from happening. I believe it is of vital importance that we ensure that our hereditary leaders, the Ha’wiih Council, have the tools they need to meaningfully involve themselves in the direction and decision-making of our government. This past budget, I have put forward and secured a significant increase in funding for the Ha’wiih Council to better reflect their stature in our community. I cannot claim to understand the full nuance of our hereditary leaders’ authorities, responsibilities and protocols, but I can do what I can to ensure they have the resources to rediscover, reassert and restore the greater house of Huu-ay-aht in all our hearts and minds. Almost a year ago, our government announced an agreement with Steelhead LNG to explore the viability of a liquefied natural gas (LNG) facility in Sarita Bay on our treaty lands. Thus far, we have learned and communicated as much as we can about the possible project, and it culminated in a successful vote on moving into the next stage of exploration – feasibility studies. Though I am cautiously supportive of the project, I believe our People have yet to be convinced. As a matter of principle, I am more than willing to walk away from the project if studies prove it is not acceptable from an economic, environmental or cultural standpoint. That being said, however, I believe it is our duty to be just as prepared for the project to move ahead if the studies indicate acceptability. I commit to ensuring that we have full access to all information we deem relevant to the project. I will work with my colleagues to ensure that we preside over a relationship with Steelhead LNG that fully represents our long-term interests and our values of iisaak, hish-uk tsawak and uu-a-thluk. I believe that we have a strong corporate and governance structure for our economic development wing. In a little over four years, we have worked together to turn a significant loss into a significant profit for our forestry operation. We have a sound plan to invest heavily in our territory, specifically the areas around Anacla and Bamfield to help create a foundation for tourism and service industry diversification. We have just received word that our run-of-the-river independent power project has been approved to receive a water license, the next step will be to negotiate a standing-offer with BC Hydro. The areas of focus of our economic development operations have been consolidation, training and revenue generation. I will work to continue this approach and pursue investments that will create job-focused value generation so our People have opportunities to make a living on or near our territory. In my term of office, I have represented the Nation at the Alberni-Clayoquot Regional District (ACRD) and I have been appointed to be the Nation’s representative to the joint panel overseeing our exploration of the LNG project. In these roles, I have seen the value that good relationships with our friends and neighbours locally, and with prospective customers and partners in the wider world. Our treaty creates a sense of certainty and stability and that is attractive to prospective business partners. It has become a vital task of Council to forge positive and constructive relationships with all levels of gov-ernment and all aspects of business. I believe that I am particularly suited to help forge those relationships in a way that would significantly expand the prospects of the Nation. I would work with my colleagues to ensure that Huu-ay-aht maintains the positive, progressive and constructive identity it has with the wider world. I believe the Nation has a strong future based in sound decision-making made in the past decades. We have reclaimed control of our destinies and have thus far created a robust foundation for future success. We do the things we do not to lose who we are, but rather we do those things to become who we should be. And that should continue, in earnest. I would be honoured to be re-elected to Council and I will do my utmost to see our Nation do well now and into the future. Posted in: Opinion, Politics, Uncategorized. The following is the first in a series outlining my platform for re-election to Huu-ay-aht First Nations Council. The topic of this piece is how I believe our economic initiatives should relate to and connect to our traditional governance practices. Future topics will cover my positions, ideas and comments regarding good governance, major projects like LNG exploration, and my understanding of what it means to be Huu-ay-aht today. Thanks for reading! – J. In the time before contact with European explorers and traders, the Huu-ay-aht economy was based on harvesting natural resources from our lands and waters. They were controlled by our hereditary leaders based on traditional practices of conservation. Those resources were collectively managed for the good of all Huu-ay-aht. While food and material for clothing, housing, fuel and transportation were relatively plentiful over the long term, variations due to weather, intertribal conflict and other concerns often created serious shortfalls in vital resources. These challenges had to be managed on a larger scale, creating the need for mutually-beneficial trade agreements with other Nations up and down the coasts of the Island and the Mainland. When contact was made with European explorers and traders, our people had been living in our territories for thousands of years. We numbered in the multiples of thousands because we had relatively stable and plentiful resources and we enjoyed relative peace and stability. One would imagine Huu-ay-aht leaders were not unlike leaders today. They wanted to ensure their people were safe, healthy and had a bright future. Unfortunately, a deficit of empathy and a surplus of ambition made those explorers and traders into colonizers who cared little for our traditional politics, economics and society. Indigenous peoples everywhere lost their lands and resources. Huu-ay-aht leaders lost their lands and their control of the resources that fed, clothed and housed our people for generations upon generations. The wealth of our people was harvested by others and taken out of our territory. Weakened by disease and overwhelmed by the might of the European powers, indigenous peoples like us lost their lands, and they very nearly lost their identity. We did not lose our identity, however, and our leaders came together to do what they could to get back what was lost and taken away. Whether through negotiation, court cases or business de-velopment, Huu-ay-aht leaders worked together to pursue a better life for all Huu-ay-aht. We won back control and influence over our resources. We finally received a share of the wealth that had been taken off our lands without our benefit for generations. And with the treaty, we won back control over our own lives, our own lands and our own resources. Now that we are self-governing, now that we are in control of our individual and collective destinies, it is up to us to ensure that we move into the future in a way that makes us safer, healthier, smarter and stronger. The challenge before us is daunting and serious, we need to improve: (1) the opportunities available to our people to make their individual lives better in the ways they see fit; and (2) in concrete terms, improve the actual conditions in which our people collectively live. In other words, we must do what we can do ensure that a Huu-ay-aht child born today has all the same opportunities for success in life, and that our people can count on the foundations of a dignified existence. First, we have businesses that we operate to help generate revenue for the Nation to use in programs and services to help our people. Second, we reinvest the wealth generated by our businesses to create job opportunities for our people to make a living. Third, we retain overall strategic direction of our economic activities while maintaining a separation between political motives and business operations. Fourth, that overall strategic operation of our businesses directly involves the duly-appointed representative of the Ha’wiih Council in government as a matter of law. And finally, we have used the moneys received from our businesses’ profit-sharing to bolster the budget of our traditional leaders. That final point is critical. In the past, the Ha’wiih Council – our hereditary leaders – were only resourced as a mere committee of government. In true fact, they are a full branch of the Huu-ay-aht government and just as important as the Elected Government, the Tribunal and the People’s Assembly. We need to do what we can to ensure that they are not only involved, but have the capacity to be meaningfully involved on their terms. In this past budget, I introduced a measure to link the profit received from our businesses directly to the budget of our Ha’wiih Council to more adequately reflect their stature in our community. With a significantly increased budget, our hereditary leaders will be able to conduct their affairs with the dignity and support they deserve. I will work to continue and expand this practice and hope to see a renewed vibrancy in our understanding and practice of the traditional roles and responsibilities of our Ha’wiih. I cannot claim to understand the full nuance of our hereditary leaders’ authorities, responsibilities and protocols, but I can do what I can to ensure they have the resources to rediscover, reassert and restore the greater house of Huu-ay-aht in all our hearts and minds. My name is John Alan Jack. I am the eldest son of David McIvor and the late Sandra Jack, the youngest daughter of Ernest Jack and the late Shirley Jack (Chester). 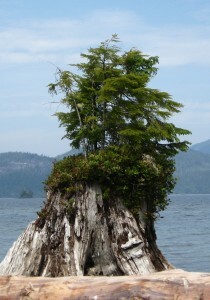 I grew up in the Parksville ar-ea, but have lived in Nanoose, Qualicum Beach and Port Alberni too. After graduating from secondary school, I earned a Bachelor’s Degree with Distinction in the field of Global Studies from what is now called Vancouver Island University. Shortly after, I met Crystal and have been together for over seven years, married for over a year, and we are expecting our first child in early October of this year. My mother made sure we spent time during summer breaks camping at Pachena Bay. At the time, I was introduced to people and concepts that would become central to my identity today. My direct involvement with Huu-ay-aht began while I was in university. I was invited to play a role on our Constitution, Governance, Finance and Enrolment Committees. From there, I worked as a part of the team that informed our people on the treaty and our plans for self-government, and served as an En-rolment Coordinator, an Assistant to Chief & Council, and as a Communications Coordinator. In 2011, I had the great fortune of being re-elected. In this term of office, I held the portfolios of Economic Development, and Law & Policy Development. 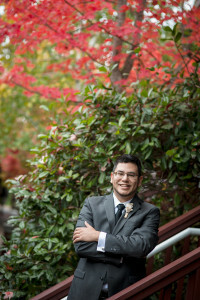 I was also given the honour and responsi-bility of representing our Nation at the Alberni-Clayoquot Regional District (ACRD) as one of its first representatives from a First Nation. In addition, I have also been named one of Huu-ay-aht’s dele-gates to the joint governing panel overseeing the exploration of the Liquefied Natural Gas (LNG) facili-ty, a task I have taken very seriously. In the field of economic development, I worked to ensure that our Nation had a reliable source of revenue moving into the future. In 2008, the financial crisis that started in the USA made a mess of BC coastal forestry. I oversaw the team that helped turn it all around for Huu-ay-aht forestry. In my time, we saw a steady march out of a $1.2 million loss in 2010-11 and into a $3 million profit in 2014-15. In addition, I submitted a motion to our People’s Assembly for sustainable timber harvest on our treaty lands that saw our Nation receive over $1.0 million in stumpage tax and over $200,000 in profit sharing in the past two years. Beyond forestry, we have expanded and improved the Pachena Bay Campground, bought and operated a restaurant and general store in Bamfield, and have invested much in the training of our people who currently work and want to work for our businesses. For Huu-ay-aht to truly rebuild itself, it is just as important for us to unlock the value in our people as it is to unlock the value in our land and resources. Working with Council, I have helped to achieve a balanced budget ahead of the schedule man-dated by our Financial Administration Act. I had the honour of helping to bring our civil service into the 21st Century by instituting a living wage policy while still maintaining that balanced budget. We took over and expanded our post-secondary funding to include more than university degrees and into much-needed trades training. Through my involvement at the ACRD and the LNG governing panel, I have done everything I could to create meaningful and constructive relationships with outside gov-ernments and businesses. Raising the Huu-ay-aht profile has become a key function of our elected leaders, and I have seen our Nation create a positive, progressive and honest reputation with the world since Treaty. See to it that Huu-ay-aht people are treated fairly and honestly no matter where they live. Enrich and enhance the place of our Ha’wiih (hereditary leaders) by resourcing and supporting them in ways and means appropriate to their stature in our community. Expand and enhance programs that deliver healthcare, cultural teachings, education and employment opportunities to our People. Ensure that the studies exploring the LNG opportunity are done correctly, comprehen-sively, and answer the questions that our Ha’wiih, our People and our Government need in order to make a well-informed decision. Guarantee that, if the LNG project were to go ahead, the overall benefits to our Peo-ple are maximized while minimizing the impact on the environment, on our heritage and on our traditional resources. Complete a “Made in Huu-ay-aht” long-term tenure that balances economic, cultural and environmental factors for sustainable timber harvest on our lands. It has been a great honour to be allowed to serve my community these past six years, and I would like the honour of serving you again. Huu-ay-aht Vote on LNG Project Tomorrow! Posted in: Information, Opinion. Tagged: HFN, Huu-ay-aht, LNG, LNGinBC. It’s been a long while since I’ve updated, and I apologize for not updating in good time. Tomorrow, and the day after, my First Nation will be holding our People’s Assembly, which is something like a supercharged Annual General Meeting. In the morning, information sessions will be held about what we’ve done in the past year and what we plan to do in the next year. Part of that will be a vote on whether or not we continue to explore an LNG project with local company Steelhead LNG. Now, let’s go back in time for a moment. On 19 September 2014, I attended and gave a presentation to the 6th Annual Northeastern BC Liquefied Natural Gas Summit in Vancouver, BC at SFU. This was a presentation that I gave to a room full of government, business and First Nations representatives. 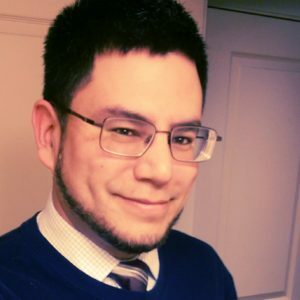 It’s been quite a while since I’ve posted on my website, but given the temporary nature of Facebook and other social media sites, I figure this was a better place to give an update of this magnitude. To get to the point, I have been asked by Chief-Councillor Jeff Cook, my colleague and elected leader of the Huu-ay-aht First Nations, to attend the BC Trade Mission to China, South Korea and Japan. This all came about due to our good relationship with the Port Alberni Port Authority on the trans-shipment port project. This project, of course, is not without its detractors. At this very early stage in development of the trans-shipment port project, though, I believe that we are in a key position to meaningfully consult with our people since we’ll have first-hand access to real data and information. All this information does not necessarily explain how it came about that Huu-ay-aht was offered a spot on a trade mission to very important Asian markets. As stated, the Huu-ay-aht First Nations (HFN) have a good relationship with the Port Alberni Port Authority (PAPA). I believe it is accurate to say that the regional economy needs some measure of renewal, and PAPA’s CEO Zoran Knezevic put forward the intriguing idea of a trans-shipment port somewhere in Barkley Sound or the Alberni Inlet. In simpler terms, think of this as a transfer station for big shipping companies. Very large container ships travel from Asian ports to places like the Lower Mainland, the Seattle Area, Portland and California. The costs of running these ships is very high, and having a transfer station where these large ships can drop off their cargo can save them several days of travel and potentially quite a bit of money. Once the cargo is dropped off, it would be sorted and loaded on to smaller ships that would then bring it to the aforementioned ports. This would result in job creation at the trans-shipment port itself as well as creating more work for local coastal shipping companies. We are nowhere near determining whether this is even feasible. This is the starting point of our relationship with PAPA. HFN Council believes the trans-shipment port to be a credible idea with a lot of potential, but one that needs to be vetted with work to determine whether the economics work, whether it’s environmentally sustainable and whether it’s appropriate for HFN and the region as a whole. As I’ve learned from former and celebrated members of the Huu-ay-aht government, I believe that it is always better to be actively involved in the work going on around us than it is for us to react to it late in the day. I was impressed to see Mr. Knezevic of PAPA come through our door to talk to us about the idea so early in development, and we now do what we can to further develop that idea because we think it might work for us and that it could have a very positive impact on the regional economy. This brings us to the trade mission. The seat that I have in the trade mission was passed on to Huu-ay-aht through its relationship with PAPA due to the efforts in pushing the trans-shipment port prject and now a potential LNG plant. As we should know by now, the Provincial Government very much believes that Liquefied Natural Gas is the economic future of the BC economy. I won’t go into the raft of reasons for or against LNG development, but it is the work done in contemplating the idea that has given us the opportunity to go to Asia. The first has to do with our relationship with PAPA and the generally-accepted belief of HFN Council that the trans-shipment port idea is a strong enough economic opportunity for HFN and the region as a whole to merit further investigation. One of my primary objectives in going on this mission is to support economic development opportunities for the region and for the province. Also, this is partly because I think BC has just as many opportunities for work as Alberta and it would be nice that young people (like many HFN citizens) would have job opportunities within BC. The trick, of course, is finding a balance between resource development and environmental sustainability and through our direct involvement in the project, we are in a position to make that determination earlier than ever. The second reason is political. As a Treaty First Nation in BC, there are many looking to us to succeed or fail — both for various reasons. As a party to the Maa-nulth Final Agreement, the Huu-ay-aht First Nations is self-governing and very much aspires to be self-reliant in an economic sense of the term. In order to be successful in achieving these objectives, we already have many of the tools we need. One thing we need to keep in mind is that in this globalized world, no community is entirely self-reliant without having its standard of living severely reduced. The global economy only works when those who are a part of it understand that we benefit more from sticking to our comparative advantages and trading them on a mostly-open market. Larger and powerful nation-states, let alone First Nations like ours, aspire not to complete independence, but rather mutually-advantageous interdependence. The days of autarky are gone, we now live in a world of globalization. Whether we like it or not, it is up to our leaders to act accordingly. The government of BC is doing that, and I believe that in doing what I can to help advance the cause of trade will help add to the momentum behind what I believe to be one of British Columbia’s economic comparative advantages. In this, it is my hope that provincial leaders and business leaders and thought leaders take notice and think kindly on the Huu-ay-aht First Nations. This, I hope, will lead to opportunities that our Nation would not otherwise have and it is that opportunity where our bright future awaits. The third reason is economic. I hope to make connections with business interests in Asia that are willing to either buy our goods or invest in our economy. Both of these things will accelerate our economic development and lead to creation of job opportunities for Huu-ay-aht citizens and our regional neighbours as well as a source of revenue for our government to provide continued, improved or expanded services to better our people’s quality of life. In my function as an elected Councillor for the Huu-ay-aht First Nations, I am the Chairman of Economic Development Committee and subsequently the Chairman of our Economic Development Corporation. I sincerely and passionately believe that healing the wounds of residential schools and rebuilding our Nation needs development in all three spheres: political, social and economic. Normally, economic development is merely enabled by governments in the Western Tradition, but we are not in the same situation as the classical Western nation-states. In fact, we are more like the Asian countries I am about to visit: the so-called Asian Tigers. In that school of economic thought, there is a direct role for government in the economic advancement of its people. In this, we need only look at the statistics. The rise of Japan in the 1960s and 1970s served as an example for countries like South Korea and Singapore. The Chinese, of course, modified this approach to suit their politics and culture, but one cannot argue with the numbers they’ve posted in the past few decades. These countries have gone about developing their economies rationally and successfully; and they’ve done it differently than the standard model espoused by the Western Tradition. I find this fitting and inspiring for someone who has the honour of representing a First Nation community with a cultural heritage that spans the centuries. Personally, I am excited and a bit anxious. I am hopeful and confident that I am supported by a rational approach to economic development opportunities afforded to us by our lands, resources, people and way of life.